Although desktops and laptops aren’t becoming obsolete, they are no longer the only options for end-users. More and more employees today are exploiting consumerization and bringing their own tablets or smartphones to the workplace, with or without permission. 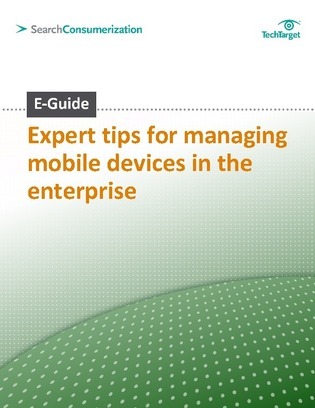 In this E-Guide from SearchConsumerization.com, discover how you can get a grip on mobile device management in your enterprise. Discover the challenges and opportunities of implementing various devices, and also uncover the security risks they pose. Also read a special report featuring news and analysis on the latest IT device management trends, including business smartphone use and iPad enterprise management.